All I want is to love you, and all I need is to touch you. And all the nights have been so long. All these days I've sung your songs. Dafuniks kick‐started their public appearance with a Copenhagen concert in November 2008. Since then, the Danish band have caught a lot of attention from the international scene. 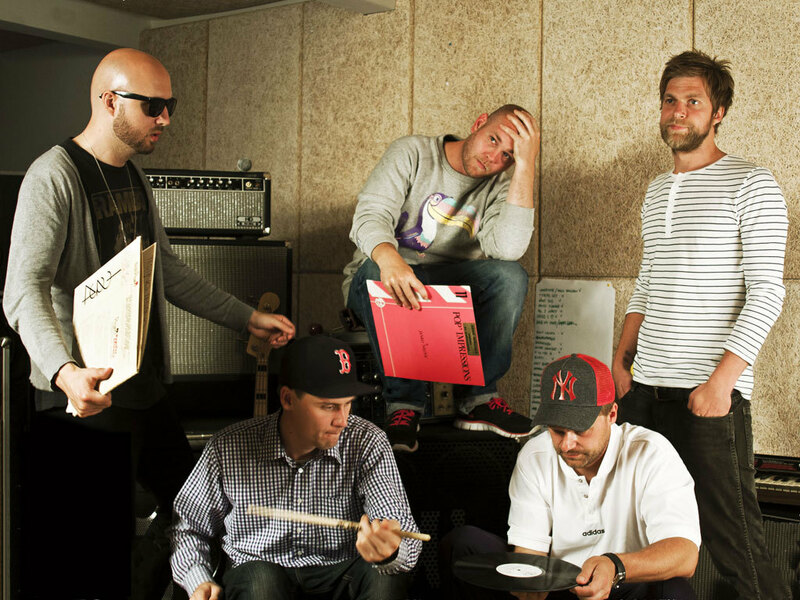 Dafuniks is especially loved by the French crowd and in May 2009 the Danish group performed a sold out radio broadcasted concert in Paris. The hit song “All I Want” feat. Elias unleashed the French passion and was picked for A‐rotation airplay on Radio Nova. JustMike of Dafuniks got in contact with the world famous DJ, Wax Tailor and was offered the chance to do a remix of his song “This Train”. The remix received very good feedback from him as well as from the french crowd. One reviewer even called it “a little gem on the vinyl”. The French connection is hot and the song “Hello I Love You” featuring Elias has been selected for the MIMOBOT compilation CD, sold in the famous concept store Citadium in Paris. The same track is also to be found on “Saint Germain Des Pres Cafe” ‐ The blue edition. Furthermore is the track “Ease my mind” to be found on the compilation “Nova Tunes 2.1”. Dafuniks' sound is funky with soul‐filled vibes inspired by the past, but present in the future. The band consists of Justmike (producer), DJ Nyber (turntables), Christian Jespersen (drums), Thomas Cox (bass), Tue Damskov (guitar) while featuring great artists like: Pato Siebenhaar (Trolle/Siebenhaar and White Pony) (DK), Barbara Moleko (DK), Joseph, Kuku and Al Agami (DK), Elias (Scribbling Idiots) (US), Pigeon John (US), Mattic (FR), Peshi (SE), and Astrid Engberg (DK). The 5 musicians from different musical backgrounds are connected through their love for music, vinyl records plus their needs to break ground, pass limits and reunite their creative powers in one unique sound. Unlike other acts in the Hip‐Hop genre, Dafuniks is a full live band. The live show is based on a core of samples and break beats plus various vocal appearances. It will blow your mind with references to the cradle of Hip‐Hop and inspiration from the 60s and 70s Funk and Soul.